Estimated shipping date is Late April 2019, but is subject to change by Mantic. Please note, Brexit happens, allegedly on March 31st 2019, currently we have no idea how this will affect business. From the Kickstarter, this is the Agent pledge level. Please see images for contents of the Agent Pledge. 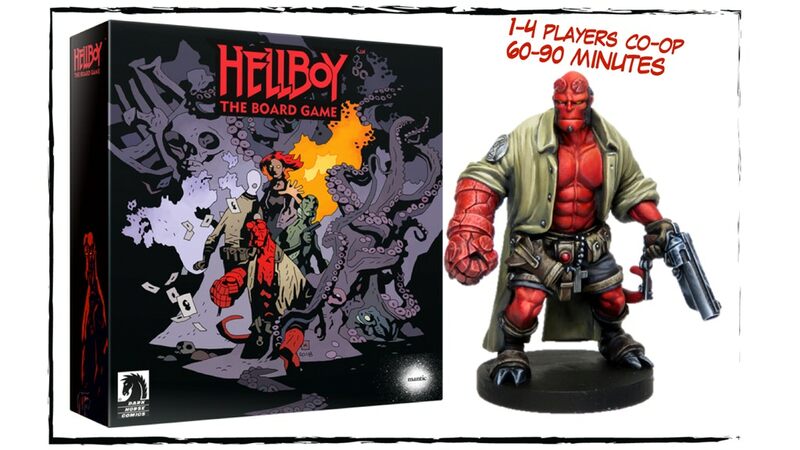 Further information can be found at their Kickstarter pages, google Mantic Hellboy to find it. Please note, this is due to arrive into the UK in April. Brexit is due to occur at the end of March. I have no idea how or if this will affect business during this time, I would think not but there may be a chance it will.